The first Rinkeby version of Kauri uses URL addresses to display images in articles and tutorials. Future versions of Kauri will support images uploaded directly to Kauri, via IPFS store. If you are using an image already on the internet, and have the URL, skip to "Add image to Kauri" section. 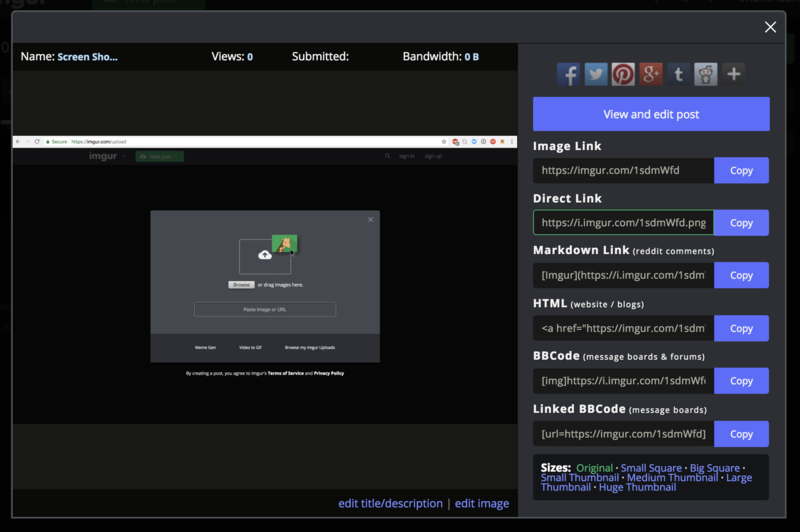 There are several options for uploading images to the internet, including imgur.com, imgsafe.org or tus.io. 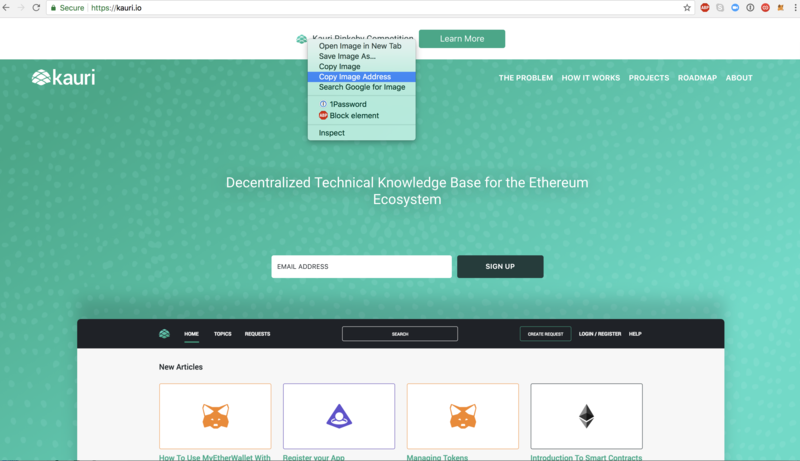 In this article we will use imgur.com as an example. Navigate to https://imgur.com/upload and sign in or create an account if required. 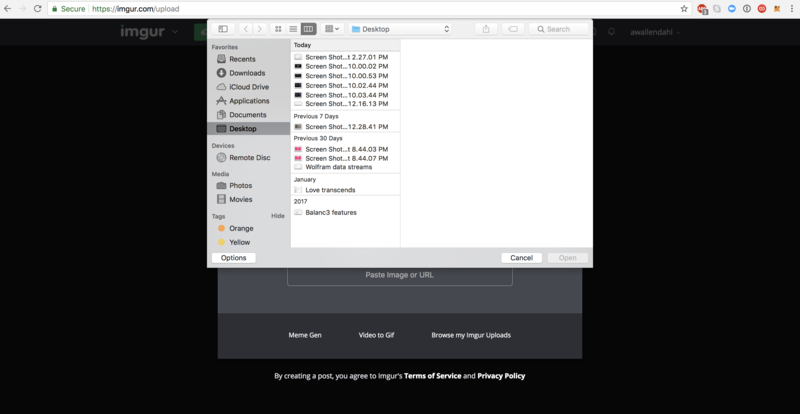 Click the browse button to search for an image or screenshot on your computer. Select the correct file and hit open. Navigate to the image in your images and copy the direct link. REMINDER copy direct link, image link will not display correctly. Now that you have the URL for the image, you can add the image to a Kauri article! Right click on any image and click Copy Image Address to copy the URL address to your clipboard. Adding an image to Kauri is simple once you have a URL address. Click into the article editor and hit the + sign to the left hand side, a few insert options will then be displayed. Select the image icon and past in the URL when prompted. Like magic the image will insert! If the image is not displaying, remember to get the direct link from imgur or equivalent (ending in .png or another file name extension). Feel free to give the image a title/description and attribe credit to the image creator or rights holder if applicable. 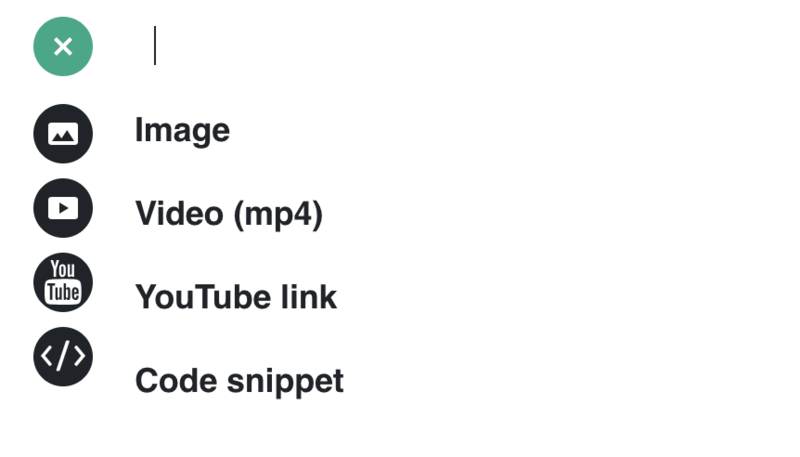 You can also add in YouTube videos and MP4s through their URL address by selecting the applicable insert icon!